Four women have been convicted of misdemeanors for leaving food and water for migrants crossing through a protected wildlife refuge on the U.S.-Mexico border in 2017. 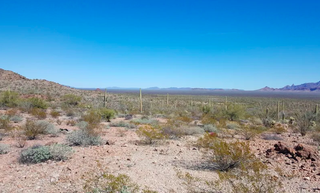 According to the Washington Post, the volunteers—who were with the group No More Deaths—were charged with violating federal law by entering the 860,000-acre Cabeza Prieta on Arizona’s southwest border. U.S. Magistrate Judge Bernardo Velasco convicted the women following a three-day bench trial, saying that they violated “the national decision to maintain the Refuge in its pristine nature.” They could face up to six months in federal prison.